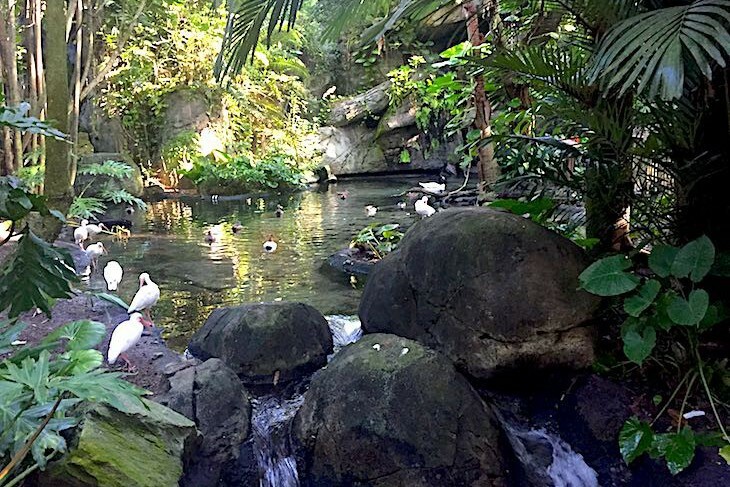 The beauty of the Oasis hits you square in the face as you enter the park, a tropical jungle of flowering plants, cooling waterfalls, and overgrown plant life thriving with a menagerie of fascinating creatures. A cool mist pervades the air amid a cacophony of chattering birds and the aroma of fragrant trees and flowers on a variety of pathways leading to hidden grottoes, rushing streams, and towering vegetation. Critters housed in replicas of their natural habitats include barking deer (yes, they actually emit a barking sound when alarmed), exotic boar, macaws, iguana, wallabies, a giant anteater, Indonesian babirusa, and African spoonbills, all surrounded by colossal banana trees, swaying palms, massive bamboos, and flowering orchids. 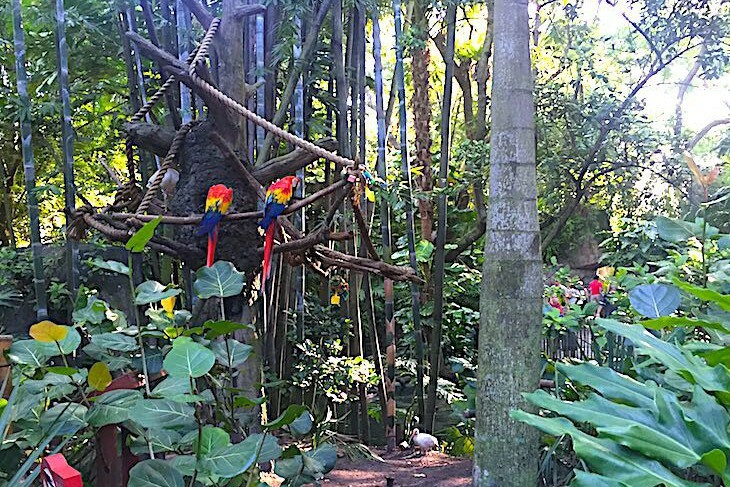 A jungle of flowering plants, cooling waterfalls, and a menagerie of fascinating creatures.